This supple leather contains natural lanolin that helps create a very soft feel. Characteristics include strongest tensile strength and excellent tactile sensitivity. Best combination of flexibility and comfort. 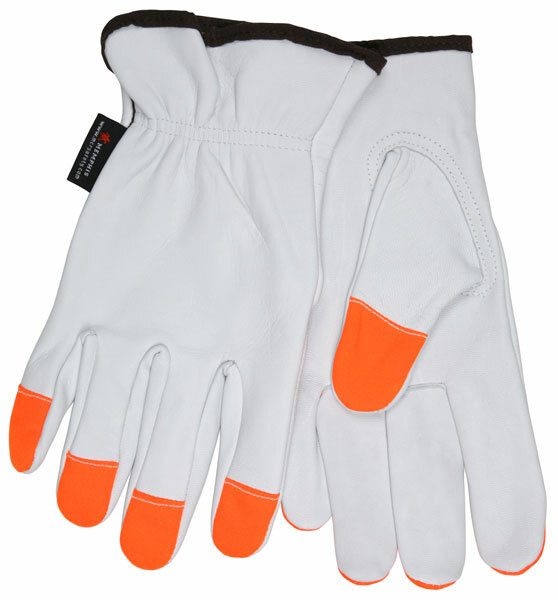 The 3613HVI features Orange Fingertips, select grade grain goatskin leather, shirred elastic back, and keystone thumb.